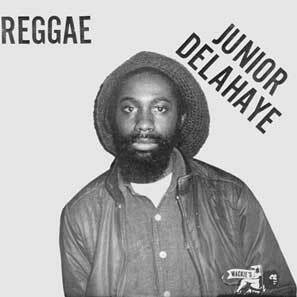 Reggae by Junior Delahaye is the second installment of Rhythm & Sound's Bullwackies reissue programme (after the Love Joys' Lovers Rock). Originally released in 1982 this album recasts Philadelphia-style sweet soul within the shimmering, bass-heavy textures of classic Wackies dub. The music is spine-chilling: Junior's singing ranges expertly from sophisticated tenor to delicate falsetto, and his declarations of exalted love are at one with the mystical space of the Wackies sound. Reggae includes interpretations of Billy Stewart's 'Sitting in the Park' and Fuzz's Sigma-recorded 1971 smash 'I Love You For All Seasons', alongside the reggae evergreen 'Travelling Man'; together with three fabulous Delahaye originals. 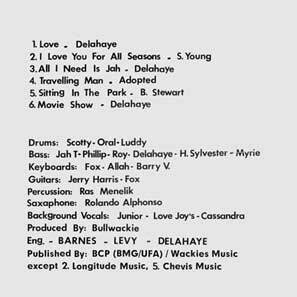 Like the Lovers Rock release of the previous year, the album features such Wackies stalwarts as Jerry Harris, Jah T and Roland Alphonso; JA-born Junior Delahaye remains co-engineer; and of course Lloyd Bullwackie Barnes is the producer.